Hello! Boys and girls are you ready to take care of your adorable kitten pet? 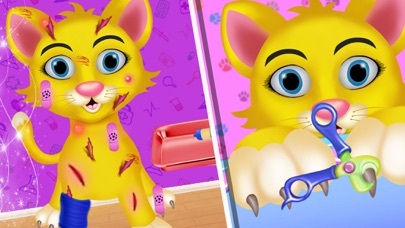 Then let us try our “Kitty Care : Cute Pet Care” game. And you love it so much. Here we have Cute Kitten! You have to take care of it by yourself and play with them happily. 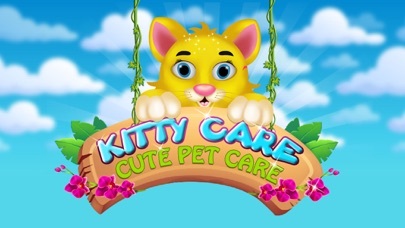 Welcome to our “Cute Pet Care Game”. In this, you can experience the feeling of being cute pets owner, moreover, you’ll fall in love with! How To Play: Open the game, choose your favourite kitten caring activity. You’ll play the game from the Out Door games to In Door activities. First of all play out door games with your cute cat i.e. “Rope Jumping”, “Ball Passing (Volley Ball)”, then come to the treatment room, here feed the right medicine so they can recover soon and help cute pet with medic kit to remove injury and all from body, then help fluffy cat to clean their ears, And act as a “Pet Vet Doctor”. 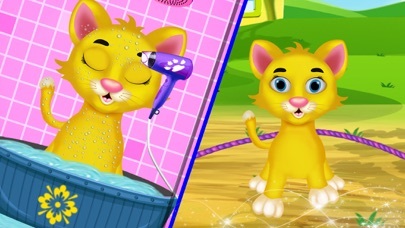 Then come to the “Bath” and you can also take them to the bathroom to have a bubble bath, help your cute Cat to clean full body and dry them. Then come to the dress up room to choose the cutest clothes for your pet, as well as the pretty decorations, lovely hats, and various funny glasses. 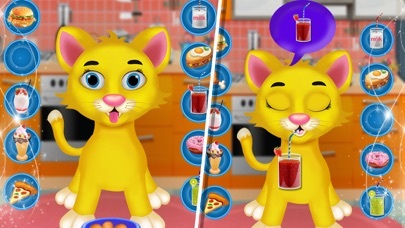 After these dressing up process, you can enjoy a “Pet Food” kitchen activity, and serve different delights to your favourite kitten. Because it’s lunch time, have many different kinds of food to feed her, such as milk, burger, juice, fruit and so on. After eats and drinks enough, will come to the playing again to play outside. 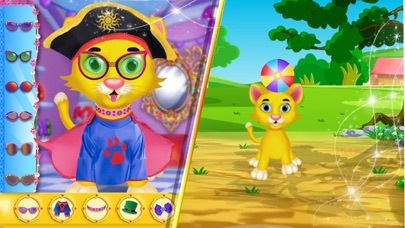 Features: · A cute kitten to play with · In door and Out Door total 8 different activities to play · Activities aspects of eating, dressing up, playing, taking care, medical treating and so on · Many pretty clothes · Decoration items · Some lovely and cute hats Need You Know: This app is totally free to download and play. Thanks.